The North Shore Alliance for Economic Development and the Enterprise Center invite you to meet one-on-one with a select group of state leaders to discuss your specific business needs and learn about state-provided resources that may be available to you. Maria Nigro Di Stefano, Northeast Regional Director, Massachusetts Office of Business Development /Commonwealth’s Economic Development Incentive Program (EDIP) and other programs that benefit businesses. Alison Moronta & Bob Jones, Loan Officers and Grant Program Managers / Massachusetts Growth Capital Corporation (MGCC). Working capital, loan guarantees and targeted technical assistance to solve specific financial and operational problems. 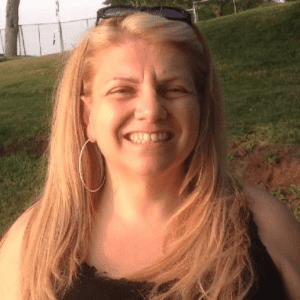 Born and raised in East Boston, Maria Nigro Di Stefano grew up in a mostly Italian neighborhood learning the English language at the age of five. She graduated from Salem State University with Honors, achieving her Bachelor’s in Political Science. After college, she opened her own children’s consignment shop in Peabody, MA. Maria has developed extensive experience assisting immigrant owned and women owned main streets businesses and she was proud to be able to employ eight working moms in her shop. Through her small business, she often donated clothing to Costa Rica for children in need. She was eventually able to travel there to meet the families she had helped, and throughout these travels over the years she learned to speak Spanish, in addition to her native Italian and English. After she sold her business, she went into banking for Bank of Boston where she routinely ranked tops in sales and earned her Series 6 and Series 63 licenses. As much as she enjoyed banking, she never lost the passion for running a small business. In 2001, she was named Executive Director of East Boston Main Streets. During her time there, she increased fundraising 600% and she spearheaded and led quarterly business networking breakfasts that were regularly attended by over 100 local business leaders and elected officials. After five years as Executive Director, she was hired by former Boston Mayor Thomas Menino to be the Neighborhood Business Manager of the Boston Main Street Program, which has 20 districts throughout the city. As an expert fundraiser and talented social media maven, she was able to raise over $1M during her time in the program, assisted hundreds of local businesses, and made a long-lasting positive influence on the lives of countless numbers of residents. In June 2015, Maria became the Northeast Regional Director of the Massachusetts Office of Business Development for the Baker/Polito Administration. The Massachusetts Office of Business Development (MOBD) is the state's one-stop source for businesses seeking to relocate to Massachusetts and businesses wishing to expand their current operations here. They offer a range of expertise and services to help businesses flourish in Massachusetts. Maria sits on the Key Leaders Council for the Greater Boston YMCA as well as serving on the Board of Advisors of the YMCA of Greater Boston, East Boston Branch. She has successfully raised thousands of dollars for scholarships to worthy high school students through her position as President Emeritus of Fieri Boston, and through a private foundation her family created in honor of her late father, Gerardo Nigro. She currently lives in Rockport, MA with her husband Sal and their two little boys, Gerardo Giovanni, 7 years old and Salvatore Louis Jr, 5 years old. In her spare time she enjoys spending time with her family, cooking, traveling and volunteering in her community.